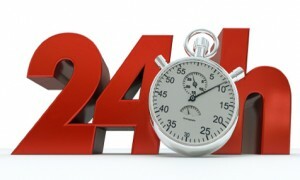 Emergency Glaziers Surrey, Cheam Glass and The Window Man offer a 24 hour, 365 day emergency call out service for emergency glazing Surrey, Emergency Boarding Up in Surrey and Emergency Window Replacement in Surrey, Surrey and all of the surrounding areas. We also offer a non-emergency service supplying and fitting glass to windows and doors, broken or misted double glazed sealed units, mirrors, table tops and lock repair and replacement. Cheam Glass and The Window Man pride ourselves in offering a very high level of customer care and a first rate repair service to all our clients. Our emergency glaziers Surrey have over 30 years of experience in the glazing industry, Cheam Glass is a professional company with highly trained fitters who comply with all the current British safety standards. We are also a Metropolitan Police approved company. Please call our emergency glaziers Surrey number 020 8644 8502 for advice and emergency help. Our Velux window repair services include broken catches, hinges and locks as well as motor repairs. We can also supply and install entire new Velux Window systems. Coulsdon, Chipstead, Kingswood, Purley - Call us today, anytime! Covering Sutton, Sutton Common, West Sutton, Cheam Village, North Cheam, Cheam, Stonecot Hill, Worcester Park, Morden, Morden Park, Merton Park, Merton, Raynes Park, Wallington, Mitcham, St Helier, Carshalton, Carshalton Beeches, Banstead, Epsom, Ewell, Kingston, Tolworth, Surbiton, New Malden, Wimbledon and other North Surrey areas.